Mrs. Sengsouvanh is in her twelfth year of teaching and directing. Mrs. Sengsouvanh is in her sixth year at Elgin High School. She pursed her education at Blinn College on a full dance scholarship. Mrs. Sengsouvanh danced on the Blinn College Treasure dance team and became Captain her sophomore year. She then transferred to Sam Houston State University were she danced in the Sam Houston Dance Spectrum Company and the Huntsville Dance Company for three years. Mrs. Sengsouvanh graduated from Sam Houston State University with a Bachelor of Arts in Dance and Secondary Education. Mrs. Sengsouvanh has been dancing since she was three years old. She danced competitively at Joyce Willett School in the Dance Body Talk dance compnay. She also was a four year member of the Pflugerville High School Lady Panther Dance Team. She was an officer for 3 years including captain her sophomore year, major her junior year and Colonel her senior year. Since graduation from Sam Houston State University in May 2004 Mrs. Sengsouvanh moved to Chicago to study at the Joel Hall Dance Center. Moving back to Texas in 2006 she started her career as a dance team director. Most recently Mrs. Sengsouvanh was the Director at Taylor High School for six years where she built a very successful, National holding title and well known dance program in the area, before making the move to Elgin High School. 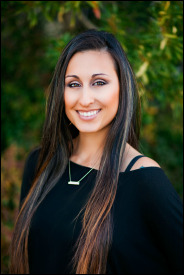 Mrs. Sengsouvanh travels to teach and choreograph for schools all over Texas. She has been working for Crowd Pleasers as a judge. Mrs. Sengsouvanh currently resides in Pflugerville, TX with her husband Souk Sengsouvanh and children Tylee and Rylee. She is so excited to build this dance program along with the Purple Diamonds Dance Team from the ground up at Elgin High School. Mrs. Sengsouvanh is ready for this year and is looking forward to many more.